Building a new home is not just a matter of floor plans and lighting decisions. It’s about transforming stark walls into personal sanctuaries. 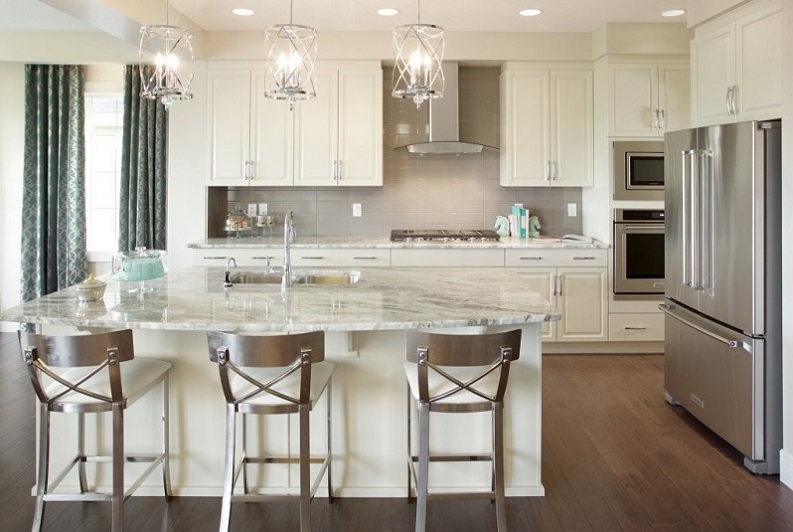 At Coventry Homes, we’re more than a home builder…we create innovative lifestyles! 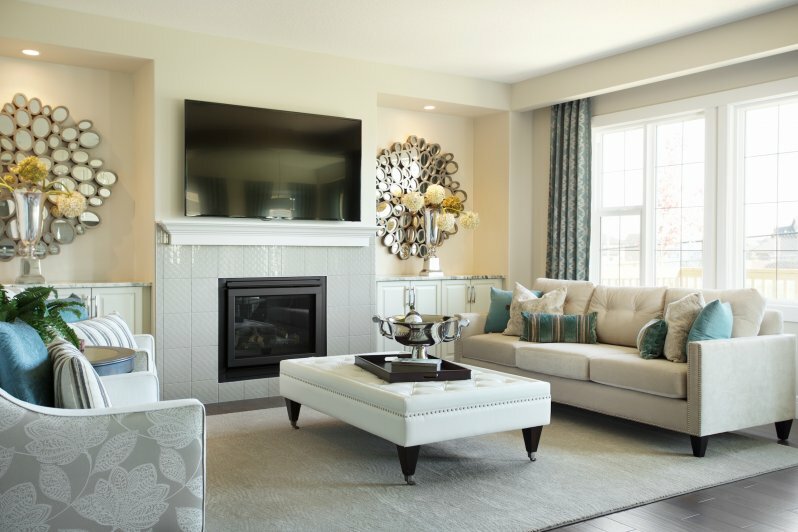 Browse through our website and our showhomes and you’ll see that, among Edmonton home builders, our approach is unique. Whether this is your first experience with a house builder, or you are a seasoned new home buyer, you’ll appreciate our home building process. Start with a house style and floor plan then let us help you create a semi custom home with our signature lifestyle packages, housing innovations and Choices By Design interior design centre. When it comes to housing and urban development, the market for new home builders in Edmonton is very competitive. Having built homes and urban communities in the capital region for over 35 years, we live this reality every day! 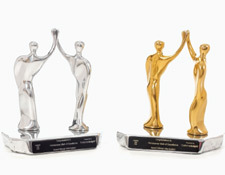 We have also enjoyed much success and growth over this time because of our commitment to excellence in customer service and quality craftsmanship. 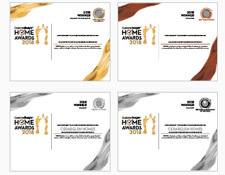 Learn more about us, our industry awards, jobs in housing and more by exploring our website. Overall a great experience with Coventry! I purchased my home when it was already completed. Our area Sales Manager, Shawn Tung, was outstanding. Very knowledgeable and wonderful to work with from beginning to end. He was always kind and courteous with whatever questions or concerns we might have had throughout the planning and building process. We cannot say enough good about him when sharing our experience with others and highly recommend him to everyone! Our site supervisor, Matt, and his assistant, Andrew, were also excellent as well. Very friendly, knowledgeable, and always quick to help throughout the process and immediately after we moved in as well. everything was good. Happy with build, quality, and service. Excellent and very responsive team esp the Area Sales Manager (Samir Haymour). He made the process easy and stress free by being available and answering all of our questions in a timely manner. Definitely went above and beyond in the process and the same was delivered when we got possession of our home. it was exactly what we wanted and paid for! Staff have been a pleasure to deal with. The hot water system is not a good one. We have 5 bathrooms in this house and the basement shower struggles to get hot water to the shower. It needs a second hot water on demand system or hot water tank to provide adequate water. Disappointing. We have replaced the flapper valve in these toilets at least twice each. Considering buying better toilets! They are not good!! We replaced the front door for more light to come in, 4 light fixtures for more light. Difficult to get heavy pots out of oven because you can’t stand in front of it when oven door is open. Bad position. Hot water is the biggest lemon in this house. Interior selection should be more customet focused. Wonderful experience! I recommend Coventry to anyone looking to build a premium quality home. Very, very happy with everything about the experience (from sale to 1 year review and everything in between). Some of the upgrades were not explained properly. When I finished all the stuff and they went to build I discovered more upgrades and said what about this and it was too late. I was a first time builder and didn't know a lot about upgrades. Overall it was a good experience. We appreciate them. There are some minor problems but overall the service is good. We are happy to go with Coventry Homes. The overall process was excellent, our home is beautiful, and there are only minor/normal fixes since we have moved in. There is some siding work that I wish would be been completed before winter, and some siding details that will need to be fixed that were overlooked by the siders, but overall it looks great. Since our 2 month walk through, we have noted other fixes and have an appointment for a trades day to get the fixed. Overall experience was good. Sales staff were excellent. Time frame for build was off by an unexpected amount. With sales, Caitlin went above and beyond. She was detailed and was very helpful specially for someone like me and my wife who are struggling to decide what and which kind of house to purchase. This lead us to choose and purchase with Coventry Homes and we’re glad we did. Thank you! Interior, Mackenzie was very patient and all ears to our liking. She’s knowledgeable on her field of work which made our time with her stress free and easy. Thank you! There was some difficulty and misunderstanding with the sales rep whom we met through the showhome. We were clear from the beginning that we had a realtor, and when the rep made us aware of a ready-to-go home in the area, we pursued this option further with our realtor. Apparently this caused hurt feelings with the rep, who seemed to be under the impression that we would use them instead of our realtor for pursuing this home. This ended up delaying the negotiation process and caused a lot of frustration and confusion all around. While we love our new home, if we had known that using our realtor (whom we had a relationship with and who had our best interests in mind) instead of the sales rep would have caused so many issues, we likely wouldn't have bought a Coventry Home at this time. Overall we are quite happy with our Coventry home, great group of people to deal with. Overall it has been a good experience compared to other builders. I am very happy with the quality of the home and the design. My only disappointment with Coventry was the length of time the build took over what was initially agreed upon at time of purchase (April vs October). I felt at times during the build that when I became frustrated with delays there wasn’t completely truthful information provided to me about why. Now that I’m in the home, I do love it but just wish it would have been completed closer to the original date. I am a sub contractor for Coventry. They are very good builder to work for. When you bring up a problem with Coventry they deal with the items and they don't argue, they send someone in and it gets fixed. I built with another builder and it was a nightmare but Coventry deals quite quickly with items. Its been really great so far, we have not had an issue. The handle over process was extremely well done and the trades people were extremely helpful and knowledgeable and repaired all the defeciencies before the key handling. My home is absolutely beautiful. Very very happy with quality of workmanship they use great good quality trades. The transition into the home inspection thing I think could have been better between who does the transition and the client - what I was promised what would happened was not taken care of with the transition team. We tried to move possession date forward they were not too accommodating and it frustrated us. More time in Interior Selections to make changes without being charged $500 every time. We felt very rushed every time we made changes. On my possession date they did not do the full fencing they did the back side only. I emailed them and called them still fencing not complete. We were very very happy we did not have any issues from start to finish and if we had to buy again we would with Coventy. Great working with Coventry. Has recommended Coventry to his brother. I would like to commend our site supervisor for his support and knowledge he provided us. Whenever there was a letdown it was due to sub trades probably giving him unreliable information as to their timing in coming out to fix our concerns. Everything went quite well with all my warranty concerns and I am happy with my house. This is the second home we had built by Coventry Homes and had very good experiences in both cases. 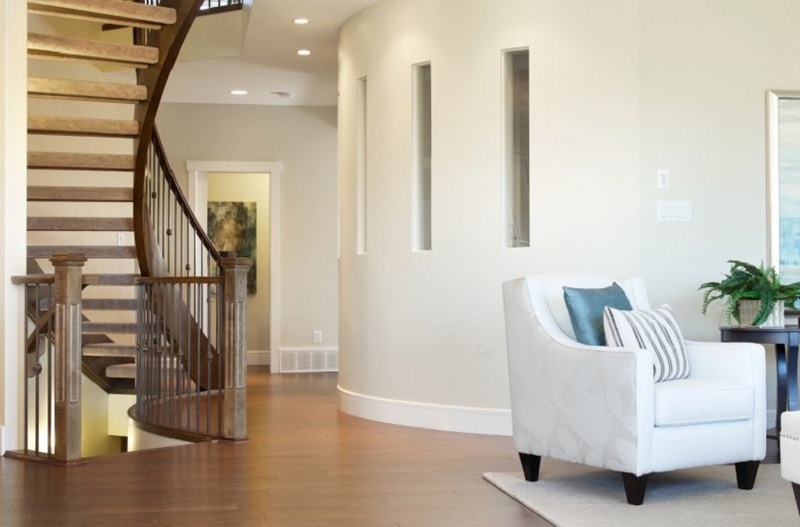 They are professional, courteous, and friendly throughout the may steps involved in creating a custom home. This home (duplex) we had less choices because we purchased after plans had been approved but are still happy with how it all turned out. Thank you Coventry your people make the difference! All good except Trail appliance time to deliver late stove. Both processes were excellent. The interior selection process is long and tedious (as it should be), however it would be helpful to be sent a document of every single choice you selected from that meeting. We took pictures of most of our choices, however you forget about others throughout the build. With all the choices and decisions you make through the building process, it can be difficult to recall a certain selection sometimes. When we chose our lighting, Park Lighting sent us the name, quantity and picture of every light fixture that we chose. We had a summary document of our interior selections, but a details list along with pictures would have been helpful. Coventry is very easy to deal with. All their staff are professional and courteous. Would (and already referred someone) to Coventry. i would make sure that ALL coventry home personel treat the buyer like it was their last buyer. Darren Rose is very caring and responsive to any questions or concerns that we had. We really felt like he cared about us and our family and was dedicated to making out building experience a great one. My house,when I saw 1st time felt like my dream house. I really appreciate Melanie Wilson our Area Sales Manager and Jaylene Varze.Both of them did wonderful and awesome job by communicating very well and helping us design our house as per our requirements and changes needed.We did lots of changes and was several times had to wait even after 8.00 and they were so accommodative.I really love my house.Thank you to each everyone who played an important role in building my beautiful house. I will definitely recommend Coventry Homes to my friends and Family.Thank you Coventry for being customer obsessed. We found that dealing with Coventry Homes was an easy and painless experience. You have no idea how much we appreciate this. I love everything. No complaints for sure. I will definitely recommend to my friends. Overall I am satisfied. The warranty staff was easy to deal with. At the beginning there was confusion what was included with the house (back deck and something else) . Those things were the reason we chose to buy. The overall experience has been good though and the staff have been good to deal with. I would like to again applaud Scott for his amazing fast, efficient and skillful knowledge in getting things done in such an timely manor. He sticks to his word and is a pleasure to work with! I highly commend Scott for a phenomenal job on getting our concerns met extremely quickly, and efficiently. He showed great knowledge in his profession, very professional, easy to talk to. Working with him Darren and Alyssa a most excellent home building experience! We love Yolanda. Our area sale manager. She is great . Thank you . I APPRECIATED THE TEAM THAT HELPED ME IDENTIFY MY HOME. Darren Rose and his team were very professional helpful . Overall I had a great experience with Coventry. Buying a home from Coventry was the smoothest part of moving. So far I’m having trouble finding any major deficiencies worth bringing up. David the area rep is out of this world fantastic. He went above and beyond a few times. He’s the best! The guy that did our walkthrough was sure to make sure we had all brand new filters, and check that everything was working. Great job all around so far. we have enjoyed the 1st year in our new home and hope to have many more! Coventry has been a wonderful builder, we purchased a spec home and they still made a couple last minute changes for us, the sales team were great, as were the warranty personnel. Problems were addressed quickly, communication was thorough and rapid, and they are always on time for appointments with all trades present and a site supervisor. We constantly recommend them to friends and family, service like they have provided us is so rare nowadays that it is truly respected and appreciated when discovered. I purchased a show home so sidestepped all the selection process, but I whizzed through the sale process thanks to Caitlin and the sales office. Caitlin was a gem and I would recommend her to anyone. I also had the opportunity to work with Lorin and Matt, the site supervisors who were so helpful and informative with the warranty and maintenance of the home. As a realtor, I have worked with builders and the closing process for clients and their new home many times, however I can see the Coventry and their staff do more than an exceptional job. Thank you to all! There is one thing I would like to mention about the landscaping though. Being it was a show home for a while, there were some settlement issues with the landscaping that I have not got rectified yet and I am hoping to get resolved soon. As well , the maintenance of the yard was not kept up ( grass cutting and weeding, etc, ) from the time of the offer to possession. I had to request the grass be cut prior to possession, which did happen but no trimming or weeding which was a bit disappointing. Other than that, I love my Coventry Home, absolutely love it!!! 100 percent recommend Coventry over some of the other Edmonton based builder. The layout is optimum is perfect for our family's needs. The service was impeccable and personable. Our last house from Daytona I won't even talk about. Samir did an excellent job taking care of us and answering our questions. Josh did a great job making sure the home was built right and resolving any issues that came up. Very pleased with the service we received. we are happy with the house. Thank-you so much for that. Everett Jensen was great. Explained everything clearly and kept all promises. Overall very satisfied just have some items that still need to be dealt with and have not heard when Coventry coming. The cement coming from behind the drywall is quite concerning in the garage. Tamper resistant electrical outlets are a nuisance. Some plugs are impossible to insert and some can only be inserted with great difficulty. I agree this is not a builder problem. I still have one that is a real nuisance, most of the plugs can't be inserted in it. We had an issue with the windows (some were double pane instead of triple pane) but this was resolved fairly quickly. The landscaping on the side of the duplex is a concern. There is little we can do until the adjacent home is built and the grading between the homes is finalized. I enjoyed the process so far. We didn’t do the interior selection. Although it is not perfect, we are very happy with our new home. We anticipate that with better weather, the landscaping will be getting done soon, as well as the concrete work at the front and rear of the house. The Coventry team we have dealt with have been great. Amber Cormier was an outstanding agent while we were purchasing. Ken went out of his way to rectify all the observations that he could before we move in. Since moving in, Nicole has helped us with one minor item (missing appliance manual) and she was prompt and friendly. Overall, it has been a very good experience and we're glad we went with Coventry. There are other things that occurred over the course of the build that were concerning, however, I will not share them here. I fear that if I do all of the concerns I have raised previously in this Review could be chalked up to a disgruntled customer who seeks perfection. This is absolutely not the case. The issues I have raised are significant and genuine in my view and I think deserve to be raised. Absolutely nothing. Everyone working on the Secord builds was fantastic and worked as a cohesive team. I believe the process is very well thought out and the overall experience was for the most part fun and stress free. Staff are extremely friendly and helpful. Any and all of our concerns throughout the sales process where addressed quickly and without issue. It was very clear from the very beginning that Coventry Homes and Staff are committed to customer service and satisfaction. Darren was very helpful and friendly. He was very quick to reply even if we emailed him very late at night. We have had a good experience. The quality is high. I would recommend the builder to anybody currently. I have built many new homes over the years and this by far was the most positive experience!! Working with Kari Lane at the Sales Centre to customize the Pandorian plan to suit our needs was an exciting experience. She was very open to all of our ideas and also offered some excellent suggestions of her own. I always felt that she had our best interest at heart and was as excited as us to bring our new home to life. Over the past year, which was a very personally difficult year for me, I had absolutely no concerns with my new home! All of the Coventry employees and trades were so personable and professional at all times. It would be nice if some modifications that a buyer might want, could remain available further into the building process. Our home was well underway when we purchased it and we could not change the tubs for showers at that point, we were told. However, in every other respect, the sales and interior selection process was extremely well-handled. In particular, Amber Cormier followed up with us after our initial visits before Christmas, but was never pushy, always helpful. Likewise, Jade was very helpful during the selection of finishes, in terms of explaining the options and allowing us to see how they would look. From start to close, a great show by Coventry Homes! Yolanda at the sales Center, to Ken and Dino as leaders in our house. To Tara at home office! Wow, amazing! And to have Marty McSorley come in to open my home? Amazing. Any chance Wayne Gretzky could come and sign my wall? Joking but not joking :)... Sure there were a few hiccups that are always bound to happen, but everything gets taken care of in time. Thanks. Everyone that we have dealt with at Coventry has been very professional and responsive. Throughout the process, anytime that we have had a concern, it has been responded to and addressed. The only thing that we have been disappointed about so far are the electricians. They did not look like they cared about their work, and it definitely showed in our home. It was embarrassing to have Shaw come into our home to set us up with cable and internet and to make a comment about how the electricians screwed something up and to let us know that we have to be aware of this for the future if we have to get hooked up with service again. We also expected the panel to be labelled correctly - which it was not. We expected the electricians to have the same quality of work as the other trades. Overall, we are happy with our build process so far, and if we had to do this all over again, we would choose Coventry to build our home. Firstly we are so happy with our home and the experience we have had with Coventry, however we did want to point out a couple things. 1) The water was shut off to the dishwasher upon possession. 2) The breaker was shut off to the oven upon possession. 3) We were a little bit disappointed that the grout in the shower and backsplash around the sink and stove-top were not sealed. Kari has excellent white-out skills when it comes to sketching all the floor plan changes we presented her! She's knowledgeable and super patient. Amber has also been very helpful and accommodating. Ken and all the trades were a pleasure to deal with. Is customer service warranty? Warranty has been good to deal with once we understood we needed to speak to them. ?? David at the show home was great for answering questions and sending anything needed to Scott. Scott has been great to deal with along with members from his team that have been to the house. We were on our own for dealing with the issues with the furnace until Weiss Johnson told us Warranty issues WO’s.... We spoke to Warranty after setting up appointments with Weiss. Our initial meeting with Jillian and Nicole went well as they worked diligently and swiftly to resolve an issue that really wasn’t theirs to deal with. Jillian, Nicole and whomever was the draft person Jillian worked with were great. Nicole was very personable and she kept the meeting moving with Jenn while Jillian was working on the issue and I had to leave to meet with lawyers. Jenn was very impressed with their understanding and they managed her stress very well (house bought and moved in 3 weeks - she had a lot of stress on her plate). Overall my family and I are very satisfied with our home. A couple of very very minor details that were missed, but nothing major. Very helpful and curious staff, always willing and wanting to help. Buying experience felt more like buying a home from family and friends than a major business. Nothing, I was satisfied with the whole experience overall. It was an amazing process... I guess the ONLY thing I may suggest is that the customer gets ONE change free within a month of decorating meeting, then the next change costs $500.. great process though! 'Yolanda' best sales person coventry homes have. Wonderful job! We're very happy with our choice of Coventry. Building with Coventry has been a great experience. The 5 rating on possession date has nothing to do with Coventry, this was the developer and gas line issues. The 9 rating on the floor plan is not a builder issue but one regret on our part that our bedroom door faces the front door. On hind sight the master bedroom door should not be on an angle on the floor plan.....so if another potential client is asking for a bungalow then perhaps takes this as a item for consideration. I want to say Josh is a good site super and he is very professional and informative. Very satisfied with the quality and fit and finish with my home for the first year. And the people of Coventry are very nice and friendly. We enjoyed the building experience with Coventry Homes. The house has come together as we had imagined it. Most staff was friendly and approachable with answers to my questions. No so far all our expectations have been satisfied. Throughout the entire process, I felt that our business was valued and that Coventry was committed to building us the house of our dreams! The Area Sales Manager, Kari Lane, worked with us to customize our house plan to suit our needs. She made suggestions that were very insightful and tried her best to include any changes we wanted. We truly appreciated her experience and efforts during this process. Throughout the building process, she kept us up-to-date and took us through the house at important times in the construction. This helped build our excitement and give us a clearer vision of what our new home would like like eventually. Our house is exactly as we envisioned it and the whole process was very enjoyable! This is my first home and overall they did a pretty good job. I hope that they continue to work well until the warranty is over and they meet the promises. Warranty technicians are very professional in the delivery of their services. We always feel confident our concerns are always addressed right. They are very efficient and very good to deal with. Be provided with a list of options, upgrades or add ons. Sometimes a suggestion or example provided is beneficial because you would not have thought of it yourself until possibly already in the home. Also more help or feedback with regards to color choices because that should be their area of expertise and guide and help clients into selecting things that go together on a larger scale such as a whole house. I love my home and the neighbourhood. There are a lot of positives. Dealing with and getting the deficiencies corrected has been challenging. There is a new Site Super Ken, and he has reached out to me, and is looking into the deficiencies that are outstanding. Previously and prior to the new Site Super and this survey, I was noting items requiring attention for the 3 month warranty review meeting. I was trying to figure out how to deal with deficiencies that could lead to premature wear and tear. I am confident with renewed and prompt follow-up from myself, all issues and deficiencies will be corrected in a timely manner, and as the weather/season allows. Coventry is a fabulous homebuilder, I recommend Coventry to everyone that is looking for a new home. it was a very good experience. It was our first time with Covenrtry so that was great. Couldn't remember anything about warranty items. No, overall I think we've had a great experience. This is my 2nd Coventry home (4th Coventry home in our immediate family) and my experience since day 1 from the Coventry sales person, the trades workers (Darcy and Gary) and the warranty repair coordinator (Jillian) and seasonal landscaping coordinator (Colleen) has been an exceptional experience. There are a couple outstanding items on the list to be fixed but there is an action plan in place and I am 100% confident the repairs will be done with the highest quality and workmanship. Everyone has been a pleasant to talk to over the phone and work with; and there has never been any resistance or avoidance in getting repairs done. From my walk through the tradesman Darcy and Gary have explained everything thoroughly and offered help to fix all items at the 6month and year end walk through and they are honest caring trustworthy workers that care that all the repairs are done up to Coventry’s high standards. Jillian has been amazing in organizing and coordinating and picking dates and times that suite my schedule; and the trades workers always appeared on time and did an excellent job. Jillian has been great in ensuring repairs have been completed and that my homes workmanship meets Coventry's standards, she has been great in answering all my questions and concerns and ensured everything has been completed up to my standards. Colleen has been amazing in helping with my seasonal items as I have called and emailed her many times asking many questions about shrubs and sizes and shrub beds and tree caliper sizes etc and she was an amazing help in helping me meet the Aurora seasonal requirements and helping me to get my landscaping deposit. 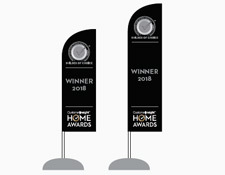 I have had homes from 2-3 other builders before and I must say Coventry homes have been the best by far in terms of staff, warranty repairs, quality of workmanship overall quality of the home. We had a very good experience with Coventry. The process was unstressful. Everyone was very educated and very helpful. I would highly recommend to my friends and family. Nothing. It all went pretty good. Sales and interior selection process was fun and enjoyable. The build of our home as been a painless process that exceeding my expectations compared to other builders. The only concern and likely a bigger one for the whole area is the missing gas lines that was not scheduled by Genstar. This may or may not delay the possession date but leaves us with a feeling of uncertainty. If the temperature continues to drop do we risk our water lines freezing and damage or potential flooding to the home. the interior selection she was amazing. she was fantastic. 0 issues with her. Experience was great. Only issue I have is the decking having nails instead of screws. It's been a good experience so far. We love our home and are excited about settling in. Yolanda, our sales representative, is always helpful and prompt. Our site supervisor Scott is very knowledgable. Brenda at Choices was helpful in helping ua choose our interiors. Jillian at warranty was good at explaining what was covered under warranty and closing the sale. Everyone we have met in person was friendly and helpful. Great house, great builder, great team we wish there was an option to have final grade and basement included! Overall my experience was so great! Would definitely refer Coventry Homes to my friends and relatives. There are some wrong information that is provided to me regarding property tax. We love the sales team (Darren, Tina and Alyssa). They're always helpful and answer our questions and concerns in a timely manner. Tina even helped us out with choosing furnitures and other things when she didn't have to. Coventry as a builder, my experience has been fantastic. Keep up the good work. Vanja Lugonja went above and beyond his sales role during the entire process of me purchasing my home and the times following me taking possession and moving in. Just want you to know that we received exceptional customer service from Samir Haymour. Wonderful experience. The only complain we would have is the carpet choice. It is wearing very quickly and not a great match to the rest of the decor. Each member of Coventry's team we interacted with was fantastic. Be it the Site Supervisor(Matt), the sales team (Chris & Chelsea) and the Warranty Team(Jillian) they all respond promptly, professionally, are friendly and have the answers at hand, or obtain them shortly. There's no guessing with them. If they don't know the answer to a question immediately (and rarely do they not) they determine quickly the answer(anticipating follow-up questions) and respond promptly. Truly a pleasure to work with, and a builder we could happily and confidently recommend to anyone. Yolanda has been an excellent representative. She's followed up on every issue that I've CC'd her on, and investigated when we hadn't heard from the head office. For example, On Thursday, July 6, a Bluebird bulldozer clipped our home while building the house next door (another Coventry project). We didn't receive any response from head office for two days, and it was Yolanda that reached out to us on the Saturday to let us know she would contact Helene on the Monday if we still hadn't heard anything. Another concern we had was with the quality of the concrete steps leading up from the driveway. While the driveway itself looks great (save for one rough patch), the steps/walkway are another issue. We did not walk directly on the concrete until the wooden walkway was removed by your team. However, there is already a large crack in one segment, and the steps have gaps and holes on the face. We were very satisfied with the customer service we received from Darren Rose. He was extremely helpful, and patient. He responded to any inquiry we had almost immediately, weekdays, weekends, evenings, it was incredible. He made the transaction personal and built a relationship. He is very knowledgeable and clearly has significant experience in other aspects of constructability outside of just sales. One morning prior to possession, Darren personally drove over to the other side of the city to make sure our keys were available at the show home so we could get into the house to take some measurements. We could not ask for anymore from him and his service responsibilities within his given role. Coventry needs a few more Darren's. Thank you for being excellent. We had a wonderful experience. Overall I was generally satisfied with the sales and interior selection process. It wasn't perfect by any means. I could've spent a little more time in the layout of the home ( I signed rather quickly and it seemed rushed) . Some items were forgotten for example the front door selection ( I would've liked a custom door but it was too late to choose). The sales manager was a good guy to work with along with the sales assistant. He tried to keep me on budget and was very knowledgeable in construction. The customization options from this builder was the main reason I chose this builder. Pricing was reasonable, you pay for what you get. I'm hoping the end product has quality workmanship from their trades as the home is not complete. Items that I noted in the walk-through were corrected. Any errors that were originally made ( wrong concrete driveway) were corrected very quickly and efficiently. Home looks beautiful and just what I pictured. The interior selection process was great. There were some items that I would've liked to see (barn style sink, polished tile, 24 x 24 tile). Overall a very positive experience. Very friendly and helpful staff from sales through to warranty. We love our home. Good service! Not perfect but I will still recommend it to my family and friends. They build a good quality homes as compared to other builders in the area. Before we bought the house I would call Coventry. The person who works in the show home, Alisha, did a great job at answering all my questions. She did a great job. There was a huge problem with the postal code and the mail box. Coventry did nothing about it. I have to fix it myself. Over All We are Very Satisfied With Our Coventry Home ! Sales Erika & Shawn very knowledgeable, Professional. John (warranty) explain and made us feel Positive that our issues would be completed ! Site Super ((Josh ) was excellent never felt rushed, he answered all of our questions,also help in replacement of our siding that was damaged by contractors next door and made sure construction was completed and done properly! Thank you Coventry! John has been an exceptionally good person to work with during the warranty review process. He has an extremely personable and professional approach to dealing with all our issues and has gone above and beyond in assisting to resolve everything we raise (big or small). As the home was already at permit stage when we decided to buy, we missed an opportunity to do a full plan review with the sales agent. Coventry however was very accommodating in considering the majority of our requests when they didn't have to. This is the only thing I would have wanted to be different. We are still overly happy with the process even without a plan review. Overall our experience was great and would recommend conventry to anyone. Shout out to the electrical contractor and how they were meticulous in their work. The design of the omega is stunning and all our friends and family love it, just like we do. The after sales service was great. Small things like the magnetic light in the pantry are great as well. The drain and built in lip for the upstairs laundry is great as well. Yolanda Grant is the best and I would recommend Coventry Homes because of her. Would have loved the option to have the builder complete the basement (sold as a spec home). We had a very pleasant experience with them. We looked at a lot of homes and all the other builders did not have near the quality and the finish that we saw in these homes. Great builders, we are very please we found them. We have recommended Coventry to many of our friends. Coventry Homes did an awesome job! Our site supervisor was outstanding. Thanks to Jeremy we felt informed throughout the build process. We also felt that our home was well taken care of during the build process. Brenda was also wonderful. We really appreciated her support and insight during the selections process. We are in love with our home and that is in large part due to the selections made during the design process. Josh our site superintendent was awesome. He went above and beyond on several occasions to make sure our home was exactly what we wanted it to be. Coventry is a Good Home builder. Our Sales person Tina Ellis was knowledgeable, Friendly and was able to take acknowledge issues when we reported. Overall very satisfied with the Builder. "I'd like to explicitly highlight how impressed I am with the warranty aspect of Coventry. I had purchased a home with my father and a majority of the issues were minor in nature. Every time we've contacted Coventry we've always been listened to and attentively dealt with, the people that came by were always professional and fixed the issues. I never felt like I had to justify or prove what was potentially needing to be fixed as with car warranty's, appliance warranty's, etc. In fact, my father had brought up an issue outside of the 1 year check-in and Coventry still sent someone to deal with it. However, another point worth mentioning is that it is a bit jarring that I receive a great fantastic experience directly with Coventry during the entire build and possession (and warranty) process, but some of the outsourced services such as home automation when discussing where ports would be, were far below what I was expecting and would impact my decision if I were to purchase another home, to skip them or go with a different contractor if possible." The sales and building experience has been excellent. Tina, our sales representative, kept us up to date not only during the building process but throughout the first year including her immediate support in helping resolve the issues we had with the interior doors trapping people inside. The home is great, I really do like it. There were a couple of things that did bother me with the process which I've mentioned before. The referral program is a bit suspect - maybe there's no such thing. The other was one wall in the garage had some sloppy mud when they did the drywall taping, which I'll end up fixing when I do the garage, and lastly the mud in the front and garage was a little disappointing. Otherwise, everything was fine. Jaylene and Darren, our sales representatives were very helpful and patient with us. Great office staff and warranty/closing personnel as well. Overall we are very happy with our experience with Coventry and would definitely choose to build with them again in the future. "The staff at Coventry Homes are fantastic. They are very helpful, knowledgeable and friendly to deal with. Everyone at the main office from the moment you walk in the door to the construction site supervisor have been amazing to deal with and are always enthusiastic when they see you. Coventry has been the best constructed home that I have owned to date. Very impressed with the quality of work that went into the home. On one occasion I remember during construction at framing stage the wind had blown a wall over on the weekend while workers were away. The next working day the framers had torn down the wall and used all new materials to construct a new wall. I was very impressed with that and knew I would be getting a well built home. Overall, the service has been fairly good, and the representatives and trades persons have been helpful and friendly. Issues, on the most part, have been resolved satisfactorily. Still awaiting resolution to one more issue from the 13-month warranty review. Generally they are a good builder, good quality and the service is very good. I myself work for another builder and I built houses with other builders before but Coventry is the one I like so far and I would recommend Coventry to anyone I know. Coventry Homes Inc. has been a member of The Alberta New Home Warranty Program since June 16 1994. Membership in the Program means adhering to rigorous membership standards. During their time with the Program, They have had no unresolved warranty issues and no unsatisfied Conciliations. Coventry Homes Inc. is a member in good standing, and has achieved the rating of an Accredited member with the Program; the highest possible rating. 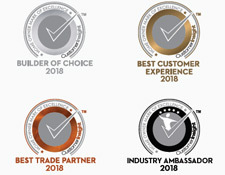 This rating is determined through a disciplined process that evaluates each Builder Member's operational performance based on criteria which includes: Technical Achievement (quality assurance program of the builder), Warranty Performance and Customer Satisfaction (Conciliation and Claims record), Business Practices and Resources (business expertise), and Financial Performance. Coventry Homes Inc. has set a high standard of operational performance and The Alberta New Home Warranty Program is pleased to have them as a Builder Member.